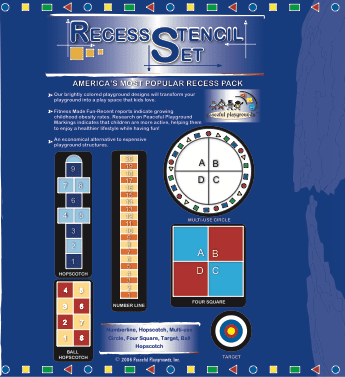 OVERSTOCK CLEARANCE SALE -While quantities last only. 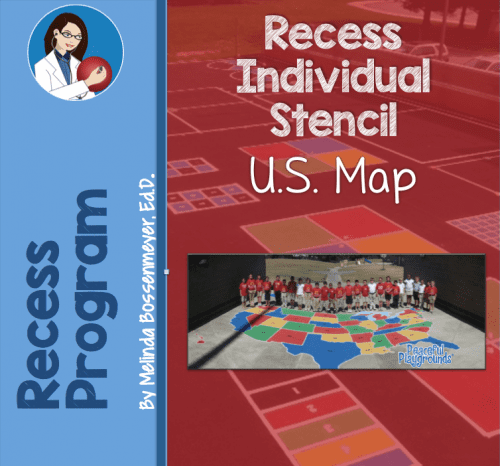 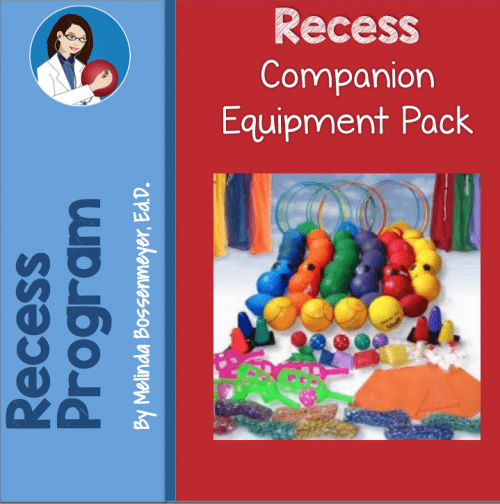 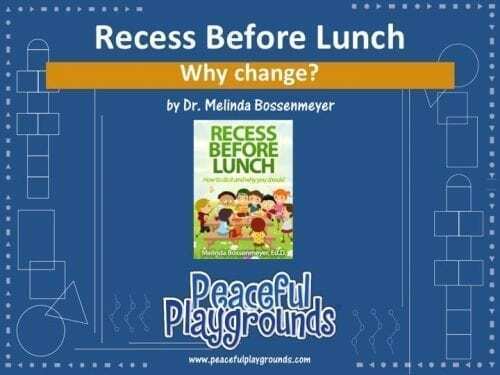 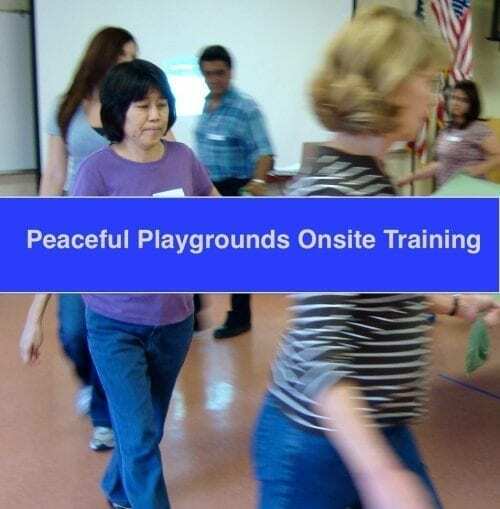 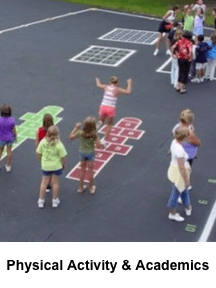 10 markings for teaching physical education or recess. 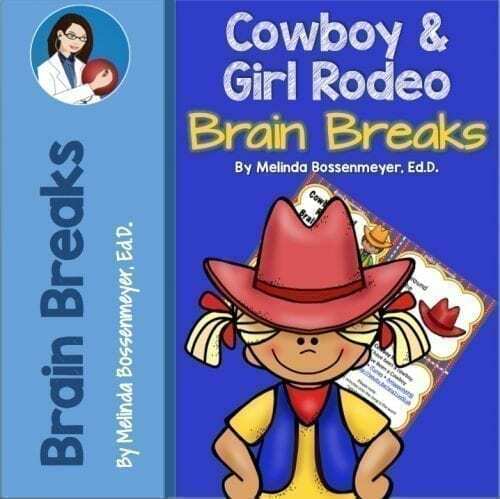 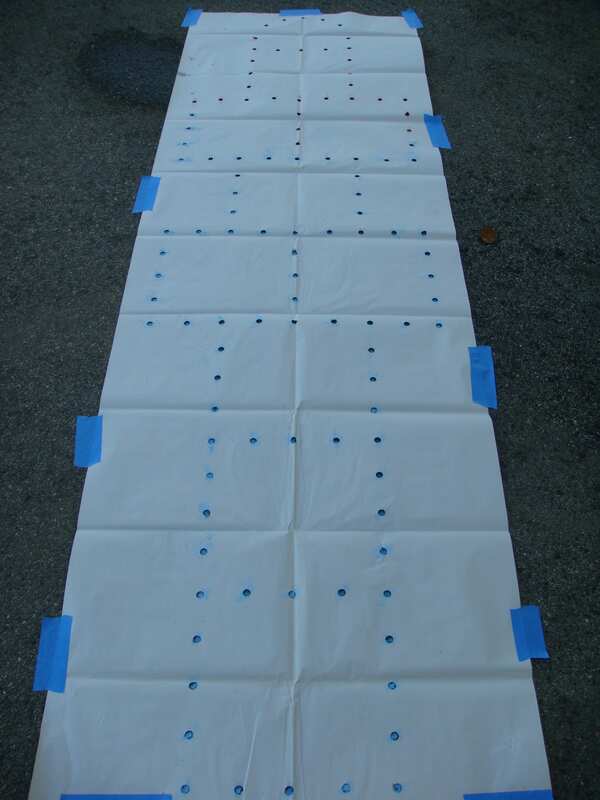 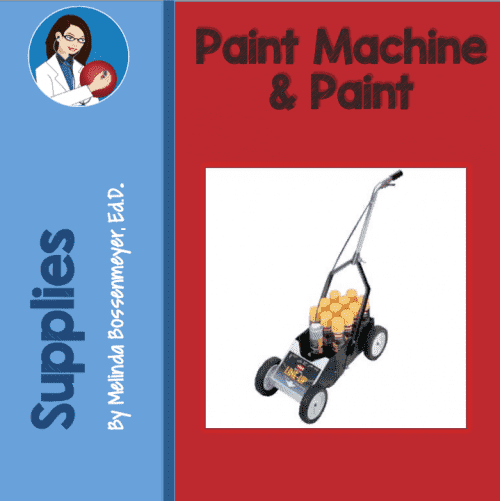 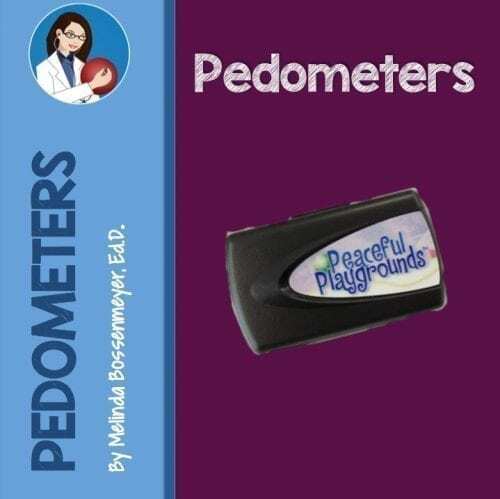 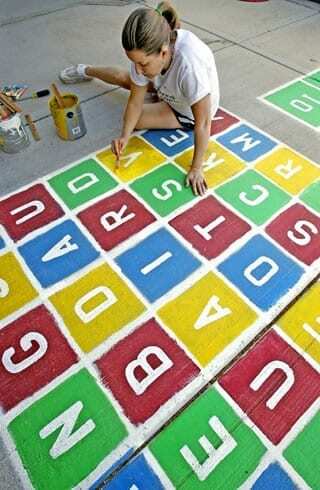 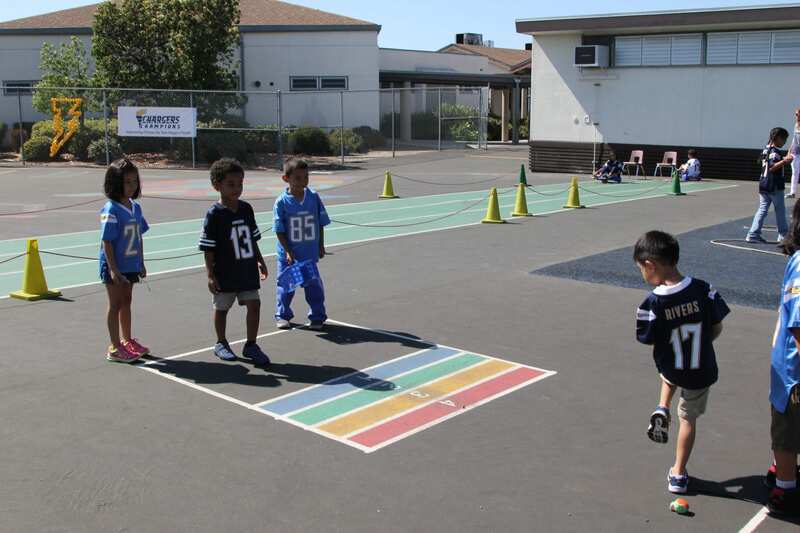 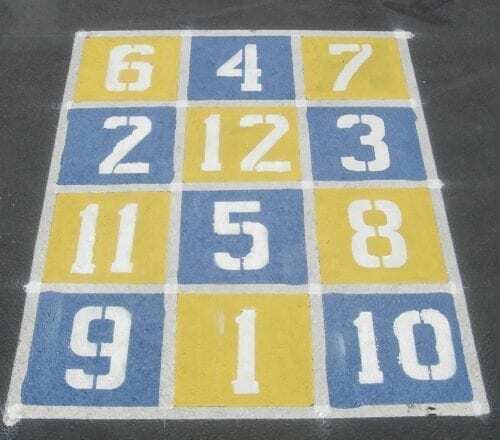 Game Markings include: Ladder, Vari-Beam, Block Walk, Midline and Crossover Walking Grids, Beam, Hopscotch, Beanbag Toss, Alphabet and Number Grids. 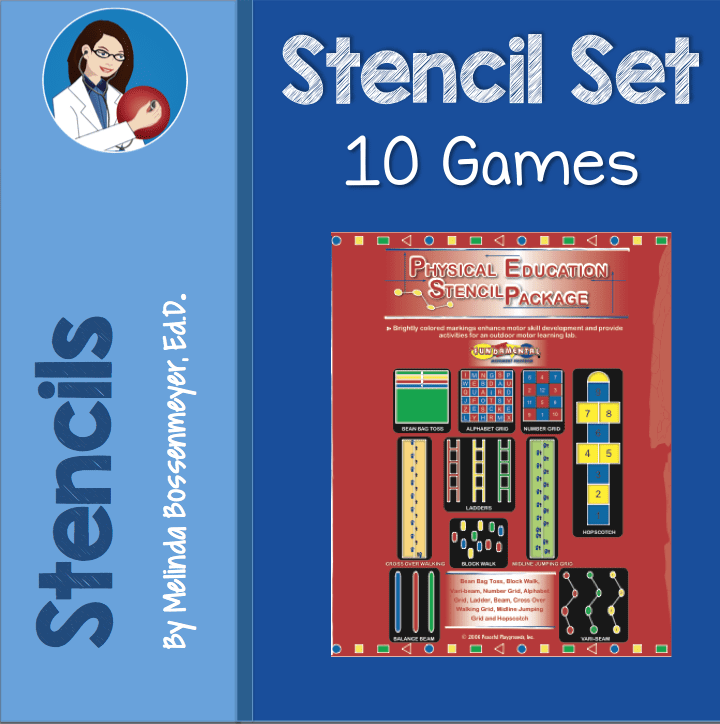 All stencils arrive complete with full game rules and lots of activity suggestions.